"if the game is AO in the US, then it is not allowed. If the game is not AO in the US, but has a different rating abroad, like The Witcher 3, it is permitted." Additionally, Twitch has clarified its position on specific titles, including GTA: San Andreas. "If a game's US version is rated Adults Only by the ESRB, you should not broadcast that game on Twitch. However, ESRB rated Mature versions of Adults Only titles are permitted for streaming, such as Mature versions of Grand Theft Auto: San Andreas and Fahrenheit: Indigo Prophecy." 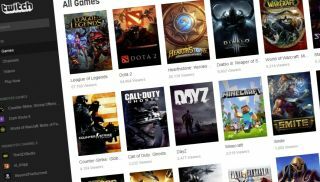 Twitch has updated its rules of conduct to disallow streaming of Adult Only games, the company announced today. That means any game classified with an AO rating by the ESRB will be banned from the service, including games such as Grand Theft Auto: San Andreas and Manhunt 2. "Previously, we made game-specific decisions about which games would and would not be available for broadcast – sometimes due to overtly sexual content, sometimes due to gratuitous violence," the company said in its statement. "This is unsustainable and unclear, generating only further confusion among Twitch broadcasters. We would like to make this policy as transparent as possible." While few games are rated AO anyway – there's a full list here and few will be missed – it may have interesting global ramifications: especially in Australia where it's more common for games to be rated R18+. "While the ESRB ratings apply exclusively to US titles, our policy extends to versions of these games in all territories," the statement reads. "Generally, if the US version is rated for Adults Only (18+) or has an equivalent rating in your territory, you should not broadcast that game on Twitch."